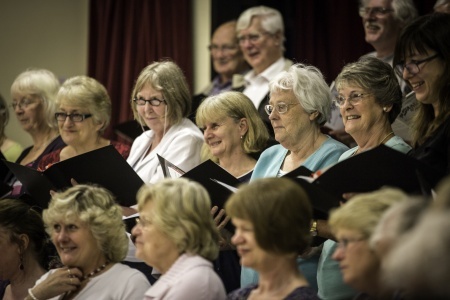 Rehearsals are held in the main hall at Steventon Village Hall on Thursdays from 7.30pm to 9.30pm, with a short break halfway through the evening. All music is provided, with members allocated their own number by the choir’s music librarians. There are no rehearsals over the summer period. The choir’s season ends with its annual summer concerts in early June and begins in the first week in September with the AGM.